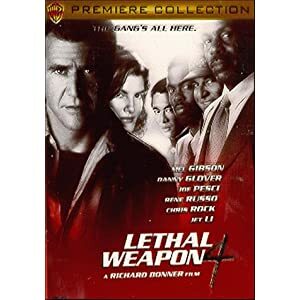 Highly entertaining and perhaps even better than the first three installments, Lethal Weapon 4 rocks! This film features Jet Li as a very tough bad guy. You know, people say that final episodes should be the most volatile and gripping of all. This film offers just that to its die-hard fans. Mel Gibson and Danny Glover are hot on the trail of the Chinese Triad. This fourth and reportedly final episode of the Lethal Weapon series is still explosive and just as wacky as the first three. There will always be some crazy car chases and gunfights, now made intense and more laughable thanks to the new addition in the team: a next-generation law enforcer played by Chris Rock.